Fancl FDR AC Washing Cream is a face wash for Acne Care. Fancl Changed their formula of Acne Care on SS2016. This face wash is new one. Let me review this face wash. When I applied this on my palm, I found strong smell of plastic. There are no perfume, and this is the reason why I like Fancl, but I need to note this, artificial and plastic smell. I dislike Albion’s strong perfumed products, but one good point of the perfume, it hides those plastic smell. If you are a person of prone of those smell, this is not for you. The face wash it self is easy to make richer bubble. But in person, this is a little bit stronger for my skin. I sometimes have acnes especially while my period, and still I need something acne care products. I used this, when I had some acnes. Sadly I found my skin afterward was too dry 🙁 I had thought this is for matured acne skin, but it will be for the young oily acne skin. If you are an oily skin, and do not much care about plastic smell, I recommend this for you . 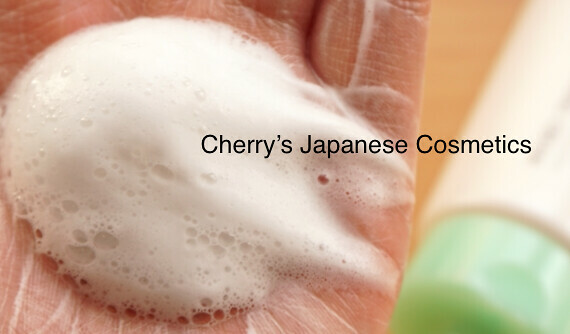 Pingback: Ingredients of Fancl FDR AC Washing Cream | Cherry's Japanese Cosmetics | We Ship Japanese High Quality Cosmetics as your order. Pingback: Personal Review of IPSA Powder Foundation | Cherry's Japanese Cosmetics | We Ship Japanese High Quality Cosmetics as your order.